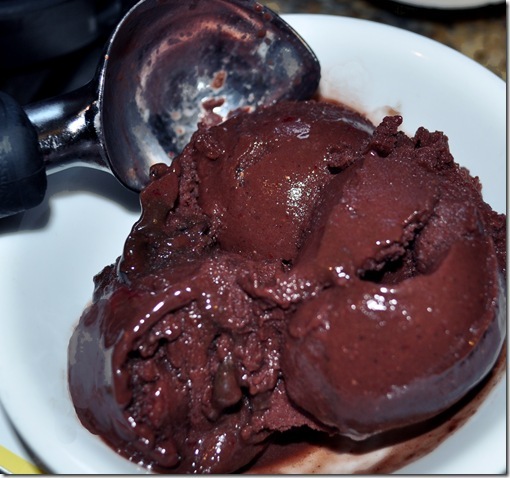 May I present:Vegan Black Forest ice cream, in honor of Hug a Fruit Month. It’s a pretty similar recipe to my Chocolate-Strawberry Ice Cream. To make it look like real ice cream, use the Ice Cream Trick. Throw everything in the Vita-Mix and blend! Sprinkle coconut shavings on top of the finished creation. 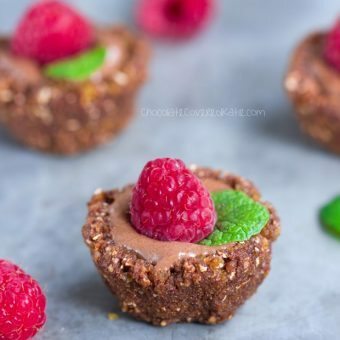 Change up the fruit—use raspberries and you’ll be rewarded with a dessert reminiscent of those famous raspberry jelly truffles. 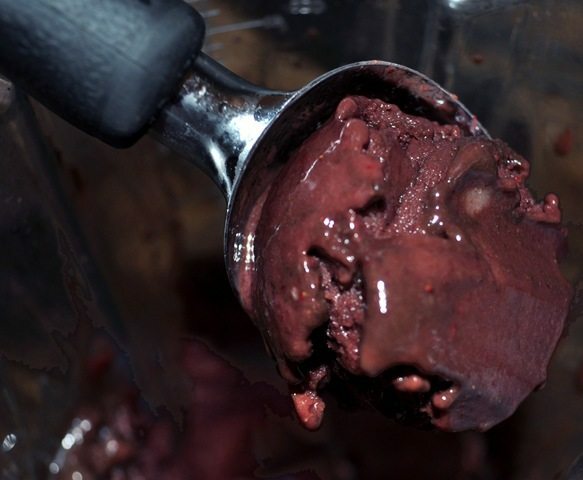 For an even more decadent ice cream, use melted chocolate chips in place of the cocoa powder. Thank you mucho, Vita-Mix Ice Cream Trick. 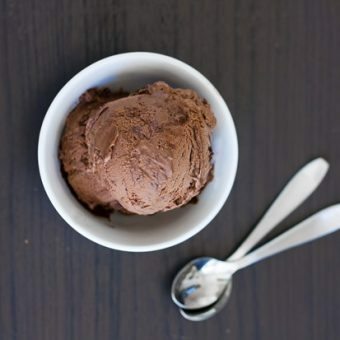 Nutella Frozen Yogurt – Two Recipes! I agree with Marilou. I just went back and looked through the comments, and gosh I am inspired by peoples’ attitudes. I think it might just inspire me to take up yoga or something else where I can be part of a group. Heck, maybe I’ll even start a blog! Oh, and to answer your question of the day, my blender LOVES fruit! Especially green monsters :). Friendly green monsters, of course. XOXO keep those recipes coming Miss Thang! My blender eats bananas for breakfast. But it wouldn’t say no to some of that ice cream! 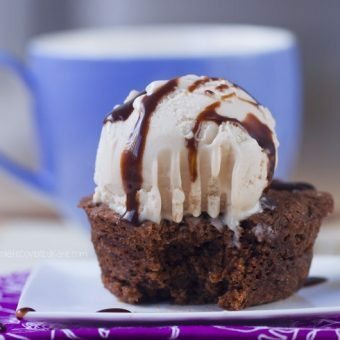 That looks so sinful! Frozen cherries are amazing! Mmmm–cherries and chocolate–two of my favorite things 🙂 Must try! Wow, Katie! This recipe looks amazing. Chocolate and cherries are one of the best combos. I seriously need to buy a VitaMix. 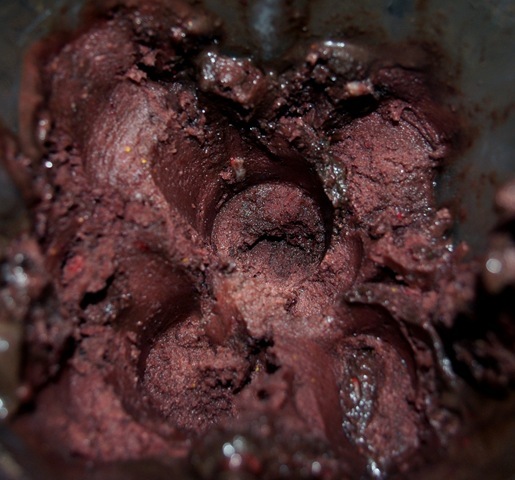 My poor blender hates me and my protein-ice-cream lovin’ ways. Any thoughts on how to purchase one that doesn’t require selling one of my kidneys to be able to afford it?? I *think* they’re usually like $700 but Costco sometimes has them on sale for “only” like $200 or $300. Or maybe punch into google: “Vita-Mixes on sale”?? I totally understand about the protein ice cream thing. I tried to make it in my magic bullet, and it turned into icy mush! I want this ice cream!!! And a vita mix too 🙂 Black forest anything is awesome!!! LOL well your team did much better than mine ;). That ice cream recipe sounds fantastic! 😀 I think I might try this soon! That cherry choc looks delish!